← How Now Shall We Live? Join Lysa TerKeurst on the streets of Israel to explore the seven I AM statements of Jesus found in the Gospel of John. Through this interactive, in-depth study we will be trading feelings of emptiness and depletion for the fullness of knowing who Jesus is like never before. 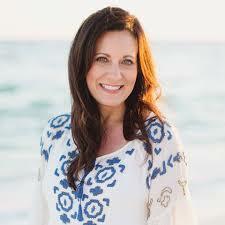 Lysa TerKeurst is an author, speaker, and president of Proverbs 31 Ministries. In the midst of her busy schedule, Lysa is an everyday woman who simply seeks to glorify God through her life and family.